2. Answer the 10 questions given to you by the nominator. 3. 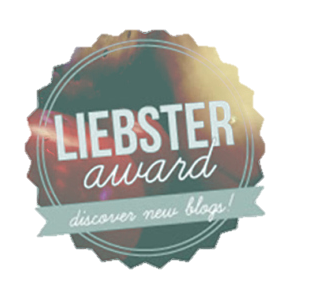 Nominate other bloggers for the award that have fewer than 200 followers. 4. Create 10 questions (or less) for your nominees to answer. 1} If you could go back in time or step into the future, which would you do? This is a pretty hard question for me because my impatient self, who hates surprises would love to step into the future and know what I life has in store but I honestly think I will chose to go back in time. Not to change anything though, but maybe relive some of my favourite memories from the past. 2} What are your goals for 2015? Ok, this one is a funny one to me because it’s the most random. Setting aside fun times like holidays and days out with the family my favourite memory and something that stands out to me the most, is coming home from school and waiting for my dad to get home from work so I can sit and read with him. I used to love sitting down in the evenings when I was young and doing homework with my dad. Yes I said I enjoyed homework! 4} What makes you happy? Family. Seeing my loved ones happy and content fills me with so much joy and happiness. 5} Name 5 things that you like about yourself? 6} If you could change anything about your life, what would you change? 7} If you could ask for one wish, what would it be? 8} If you could travel anywhere in the world, where would it be and who would you go with? Surprisingly I have never ever visited India and neither has my mum!! So I would love go to india with her and see more about our culture and obviously shop! 9} Where is your favourite place? My favourite place has to be my living room, I love sitting in there after a long day with the lights off and fire place on watching silly reality programmes. 10} What would you do if you won the lottery? I think about from time to time and I would buy everyone my family members a house each so they are settled for the future, invest in some businesses and a dream of mine and my dad’s is to build a school in Kenya, Africa. 11} What are you scared of? Being alone. Don’t get me wrong, I have learnt to love my own company and I actually love “me” time away from the world. But a big fear of mine is growing old alone, not having someone to share memories with, no one to show love to and nobody there to laugh at my jokes. Depressing way to end this right? Thank you again to Sophie Perry for tagging and nominating me. Name 3 things you couldn’t live without. 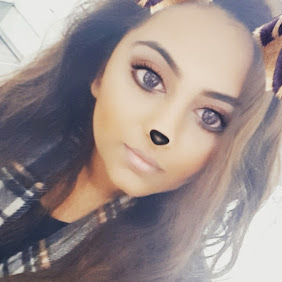 Why did you start blogging and how did you create your blog name? If you could have any superpower what would you chose? 3 things you love about yourself? Loved reading your answers, especially the one where you talked about sitting with your dad in the evenings and doing homework together, it sounds like a really fond memory! I have a love/hate relationship with my hair too haha so I totally know what you mean. No problem :) I know a lot of people would have already done it cos I'm a little late with my upload! Congrats on the nomination, really enjoyed reading!